I realize that, especially for beginners, finding new customers is difficult. So I am all in favor of your efforts to market your services by sending out your résumé. However, I sometimes have the strange feeling that many of you don’t really send out résumés and applications to acquire new customers, but rather to collect rejections and silence – so as to be able to truthfully complain on ProZ and similar sites that you have sent out hundreds of résumés without any success. All of that is either a sign of real ineptitude on your part, or a well-planned effort ideally designed not to acquire any new customer. My suggestion: if you do want to find new customers, carefully review and edit your résumé (or rewrite it from scratch), and pay particular attention to write a cover message that is short, clear and to the point – with the aim of inducing the recipient to open your résumé and be dazzled by your expertise. And, please, do your homework: address your message to a real person: “Dear Sir or Madam” message are directly filtered to my junk mail folder. "messages with attached a résumé in a file" -- perhaps "messages with an attached résumé in a file"? Best wishes of a job search? As an employer, I must agree 100%. Be professional and think of what the employer would need from you if you were given the job. Well, unfortunately, many of us collect rejections and silence and we don't really know why. I do not make spelling mistakes in my cover letters or CVs, I do not send a general "dear sir/madam" email to agencies, I do my homework before I contact someone who can be of help, I research and network, I have my own blog which I update and revise constantly, I have really good qualifications, and yet, due to my lack of experience, nobody wants to give me a chance. Even to volunteer as a translator, you need to have experience!!!!!!!!!! How absurd is that????? What are qualifications for?? I agree with Riccardo. 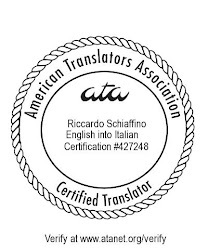 It's like those translation agencies which publish job offers in translation portals offering $0.03 per source word and asking for top-quality, top-speed, experienced pros. They get exactly what they deserve, i.e. the profile that you have described in your post.